Still available. I have all of them in my possession new except a couple pieces I am ordering at the end of the month. '05 Toyota Camry XLE - 275K and rolling! I added but forgot about the 97-98 polished wheels are discontinued. 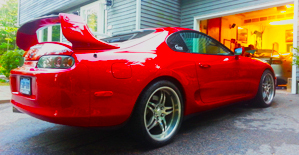 Looking for turbo auto or 6spd Supras! Targa Air/wind Deflector "eyebrows" PN 63230-14040 Is Discontinued and out of stock in the U.S.
Sunava bish! I needed to order that sumbitch, too. Just replaced AAAAALLLLLLL of mine including moldings. A little under $2k for it all. Shift selector seal for the v160 is no longer available....d/c. 23-12-7-501-580 bmw part number, e46 2000-06 m3. Tell me about it, a portion of my garage looks like those horder shows full of toyota boxes lol. Where did you find it all for under $2k? All your boost are belong to us. All of the radiators have been discontinued. I still need one for my 94 turbo automatic. 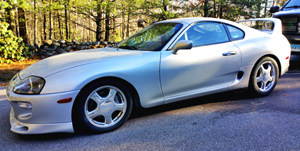 I went through Autonation Toyota here in town with ye olde SupraForums discount. updated the list for what I also confirmed are discontinued. Any idea when 98 headlights will get discontinued. I really need to pick a set, did the prices jump on them yet? All hell will break loose with prices if that happens. I picked a set up about a year ago from Curt for $450/side. Prices haven't increased all that much but I would make it a priority to get before it goes away. I am looking for an Authentic TRD or MVP Widebody side skirts, rear fender, and bump. This thread is depressing. Still, it's been life in the MK3 world for even longer. I'm surprised how long a lot was available for the A80 considering the production numbers on the car. Also, the 93-96 front bumper is gone, only 97-98 available now. Im sure the front bumper will follow suit shortly. The painted from toyota brake duct panels that sit infront of the rear tire, part of the factory lower trim. Last edited by Supra Turbo; 05-26-2016 at 08:13 AM.